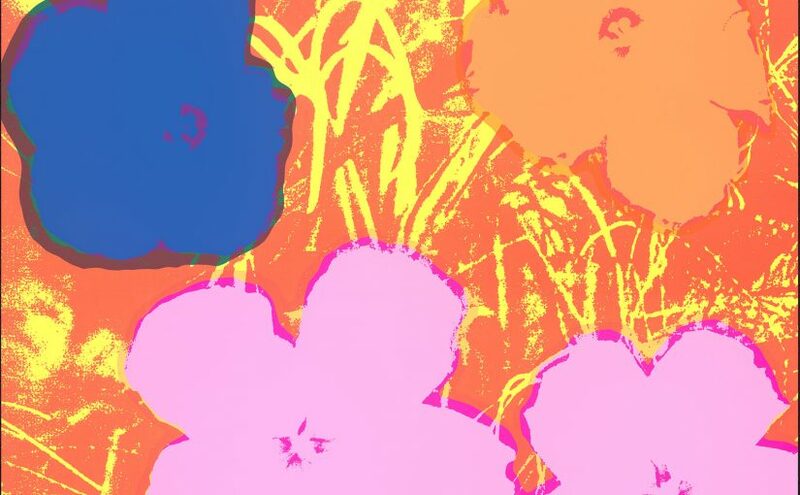 Image: Andy Warhol, Flowers, 1970. Screen print on paper, 36 x 36 in. (91.44 x 91.44 cm). 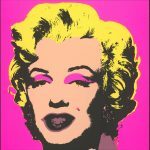 Professor Kim will discuss the silkscreen prints of Andy Warhol and the process of silk screen printing. Andy Warhol: The Pop Image Subverted is an exhibition featuring works on paper and related media created by Andy Warhol (1928–1987). The artist, born in Pittsburgh’s Oakland neighborhood, entered the Carnegie Institute for Technology (now Carnegie Mellon University) to study pictorial design in 1945. Upon his graduation in 1949, he headed to New York City and there became a successful commercial artist. His clients included Glamour, The Edelman Leather Company, and I. Miller shoes. Warhol took an active part in the cultural and artistic life of New York City, and after a trip around the world in 1956, concluded that his artistic and personal ambitions were larger than his successes as a commercial artist. 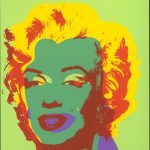 Warhol was one of the first American artists, along with Roy Lichtenstein, James Rosenquist, Claes Oldenburg and Pat Oldenburg, to use readily available and well-known commercial and celebrity images as the starting point for their art. 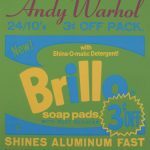 Warhol began using silkscreen printing in the 1960s when the process was not widely used by artists. Some of the silk screens featured here are as large as three feet square. It is the use of this technique and his subject matter – derived from mass media images – that cemented Warhol’s reputation as one of the most innovative and perceptive artists of his generation and propelled him to worldwide recognition. 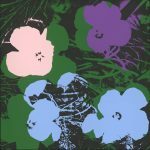 Commercial and mass media images of Marilyn Monroe, Princess Grace and flowers are transformed by Warhol’s use of multiple color combinations and layering to create formal and sensory perceptions of a new kind of art. 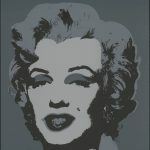 The pictorial sources from which Warhol based the Marilyn series are on display, as well as related contextual material to demonstrate the distinct differences between the source material and the finished works. Learn more about the “Sunday B. Morning” prints. This exhibition is the culmination of many years of preparation. Much of the work on exhibition, including the Flower and Marilyn screen prints, are on exhibition for the first time. This show could not have occurred without the expert assistance of many Haverford College staff and the friends of the Atrium Gallery – Marshall Fine Arts Center. We are particularly indebted to the staff of Magill Library, including Bruce Bumbarger, and Sarah Horowitz. I am also very happy to acknowledge the help of our alumnae, who continue to stay involved with the Fine Arts Department and its programing. Shannon Murphy BMC ’14, Department of Fine Arts Assistant coordinated much of the logistical support for the exhibition. And we received expert help in this regard from Natasha Cohen-Carroll HC ’13 and Maggie Mostue BMC ’14. Andy Warhol: The Pop Image Subverted is part of an ongoing series of exhibitions to support the teaching of photography and visual literacy at Haverford College.